The year of 2016 was a disaster, but we schlepped through. There were natural disasters, ripples of disease, and loss on a massive scale. Plus, that whole voting for leader of the free world thing. If we’ve learned anything in 2016, it’s that Gloria Gaynor’s “I Will Survive” is less a song than an end-of-2016 battle cry. We made it, but how? Everyone has coping mechanisms, techniques to get them through a rough day (or 366, but who’s counting?). And in a world gross with uncertainty, we need a little bit of stability — even a weekly reminder that something in life will always be there. You know that painful void you feel when your favorite fall show ends — as the last episode airs and the end-credits slip into the distance? Well, there’s a new set of spring shows — from crime fighters to quirky comedy to biopics to binge-worthy book adaptations — to to help fill that void. Beat your family to the best seat on the couch and prepare to laugh, cry, and love your way through 21 of this season’s best shows. All times are Eastern Standard. 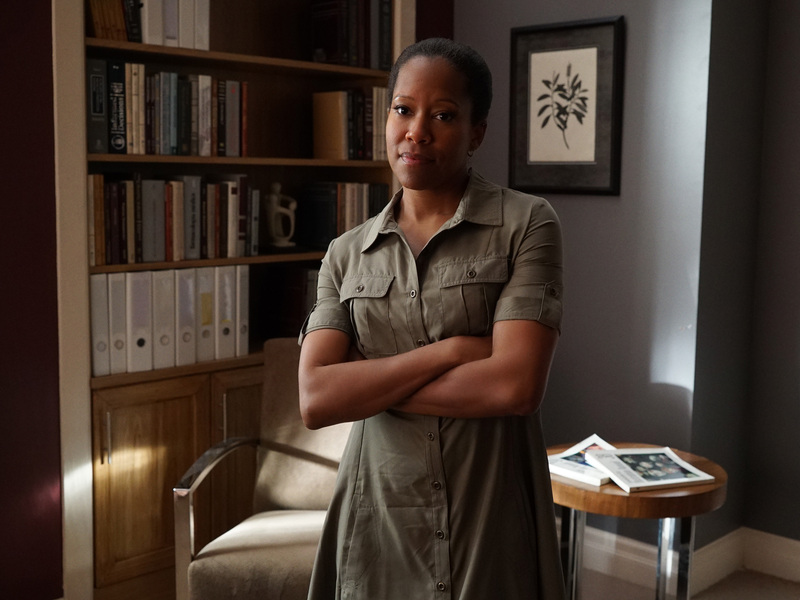 ABC’s American Crime stars Regina King as Kimara Walters. ABC’s critically acclaimed hit anthology series will focus on undocumented workers in season three. Expect complex characters, intricate plot twists, and a stellar performance by the Emmy-award winner Regina King. The election results for the presidential race between Mellie Grant and Francisco Vargas are announced, and the shocking results lead to an explosive outcome, on the highly anticipated season premiere of Scandal. Season six picks up on Election Night and the season will be heavy with flashbacks featuring Mellie (Bellamy Young) and Vargas (Ricardo Antonio Chavira), and the events leading up to it. 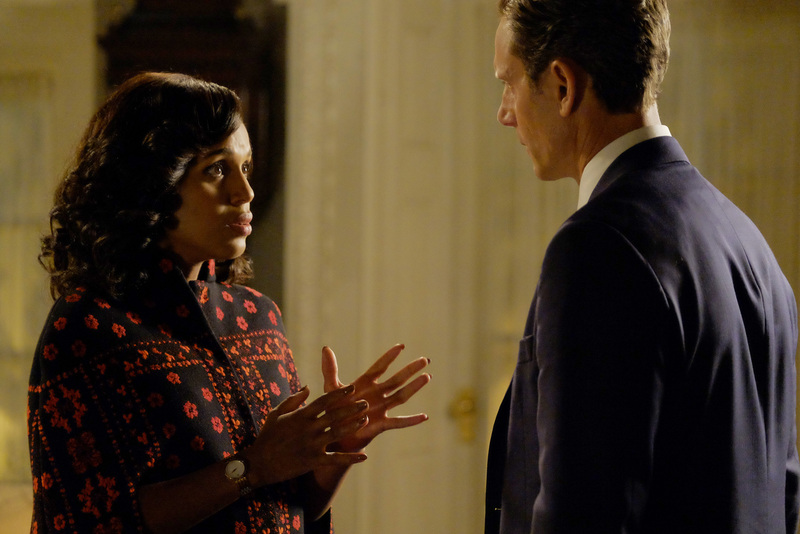 This season will also feature Scandal’s 100th episode — which the writers are apparently still working on. Shonda Rhimes has also said Election Night in the series will be different from the 2016 presidential election. That means you only have to sort of relive 2016. 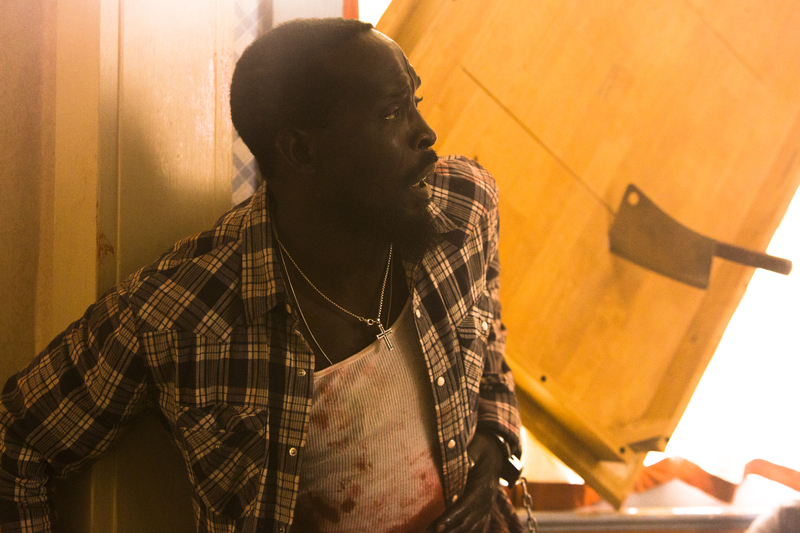 Michael Kenneth Williams as Leonard Pine in Hap and Leonard . Season two returns to SundanceTV March 2, 10 p.m. This dark comedy is back for a six-episode second season. The show is based on the series of novels by the same name, and the second season will be an adaptation of 2009’s Mucho Mojo. Along with new additions to the cast, the storyline for this season is slated to be a murder mystery. Leonard (Michael K. Williams ) is arrested for a crime he did not commit, and Hap and lawyer Florida Grange must work to prove his innocence. Premieres on BET Feb. 1, 8, and 15, 9 p.m. This six-hour miniseries adapts the late Nelson Mandela’s memoirs into a dramatization of his early revolutionary years. 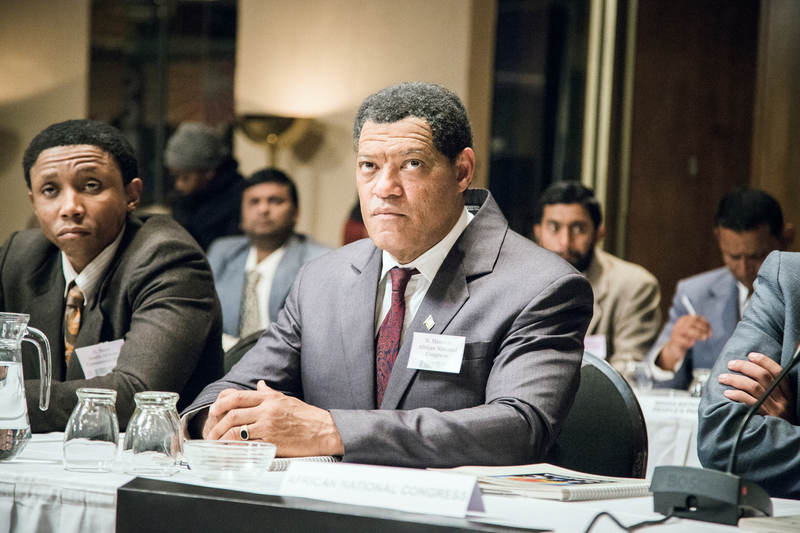 Laurence Fishburne stars as Mandela — the physical similarities aren’t exactly uncanny, but it’ll be fun to see how Fishburne assumes the role of such a monumental figure. Premieres on BET Jan. 24-26, 9 p.m.
Anika Noni Rose portrays Dr. Eva Fletcher in The Quad. 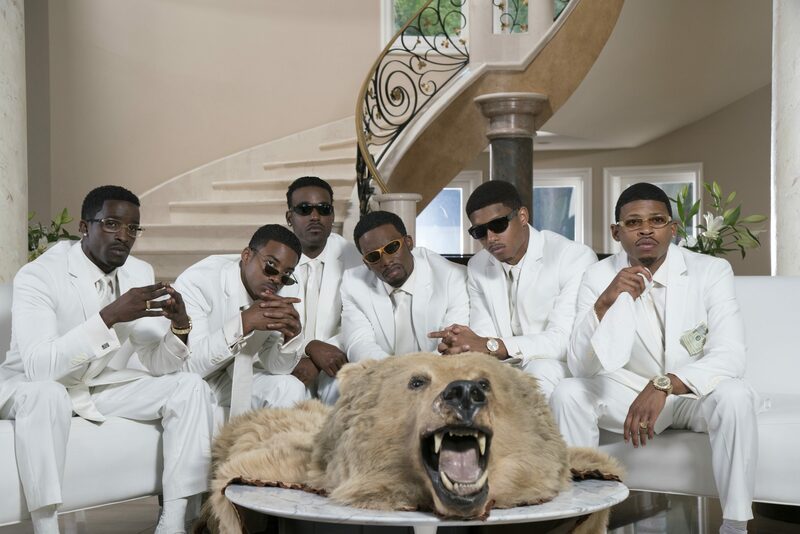 Premieres on BET Jan. 31, 10 p.m. The Quad aims to draw viewers into the historically black college experience at the fictional Georgia A&M University. Anika Noni Rose stars as the newly-elected president of the university, and is responsible from saving it from financial ruin, all while trying to save her failing marriage. Besides the obvious advantage of being able to pretend you’re in college again, the show appears to be filled with much melodrama. A recent trailer focuses on the conflicts between students, as well as hazing allegations directed at the university’s band director (Ruben Santiago-Hudson). The new drama stars Katherine Heigl as a brilliant attorney at a boutique firm who starts to fall for her charismatic client, an altruistic pediatric surgeon recently accused of murdering his girlfriend 24 years ago. Premieres on CBS Feb. 15, 10 p.m.
Dulé Hill, Laverne Cox, and Kobi Libii round out this legal drama. Cox is Cameron Wirth, a transgender Ivy League lawyer, and Libii is Nick, an ex-con who earned his law degree while in prison. Let’s hope this show delves into the real-life issues that make up the characters’ backstories. 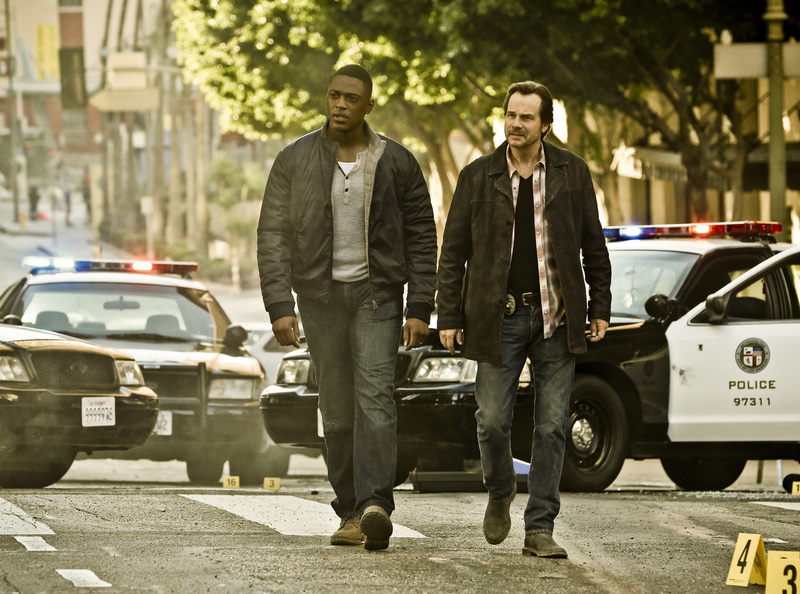 Training Day is a crime drama that begins 15 years after the events of the feature film, starring Bill Paxton as Frank Rourke (right), a hardened, morally ambiguous detective for the LAPD, and Justin Cornwell as Kyle Craig (left), a young, idealistic officer tapped to go undercover as his trainee and spy on him. Premieres on CBS Feb. 21, 10 p.m.
Set 15 years after the acclaimed feature film that starred Denzel Washington, this Training Day follows a young police officer who is sent to go undercover in a special squad of the Los Angeles Police Department. His partner is a veteran detective whose moral compass is slightly off, but the two are part of the department that hunts L.A.’s most dangerous criminals. The show is not going to be a direct remake of the movie, and promises to offer more humor in place of the movie’s serious tone. Season four returns to Esquire Jan. 17, 9 p.m. 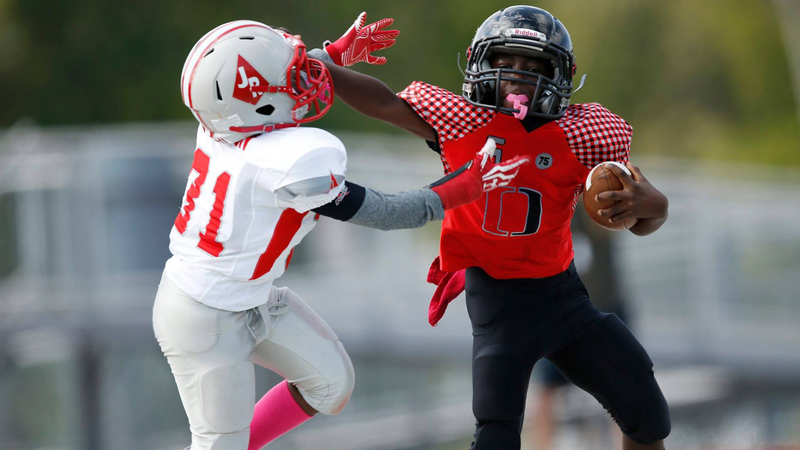 Season four of this popular show returns to South Texas to chronicle some of the most competitive youth football teams in the country. There’s strenuous training, coaching and intense parenting techniques. Season two of the spin-off series, Friday Night Tykes: Steel Country, begins on Jan. 31 and follows youth football teams in western Pennsylvania. 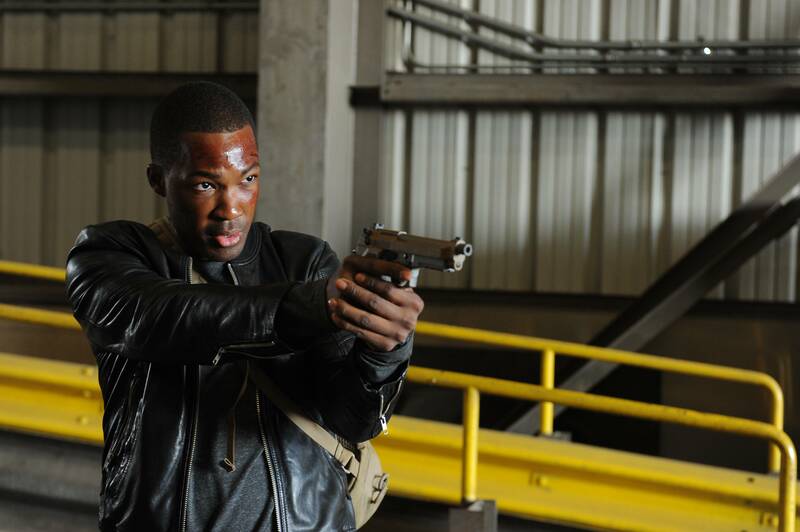 Corey Hawkins stars in 24: Legacy. From left to right: Ryan Destiny, Jude Demorest and Brittany O’Grady in Star. Premiered on Fox Jan. 4, 9 p.m. Desperate to escape the torments of foster care, two talented sisters run into the arms of their godmother Carlotta, played by Queen Latifah, who also takes in a third talented singer, portrayed by Ryan Destiny, who follows her dream of being in a superstar girl group. Whether the show will live up to the hype of its sister show Empire is yet to be determined, but Lee Daniels has created another musical drama with a sticky plot filled with betrayal, crime — and love. 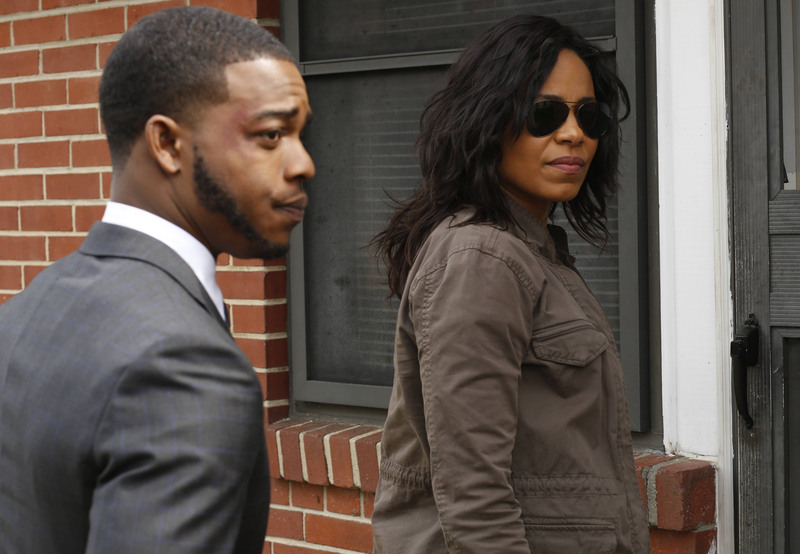 Stephan James (left) and Sanaa Lathan star in Shots Fired on Fox. Premieres on Fox March 22, 8 p.m. This series examines the effects of two racially-charged fatal shootings by police officers in a small town in Tennessee. Very much grounded in reality, the series exposes the corruption in law enforcement and reflects the racial tension that exists between citizens and police officers. The creator of classics such as Love & Basketball and The Secret Life of Bees Gina Prince-Bythewood hits another home run with a series that focuses on something this country continues to struggle with. Arguably the smartest — no, really, it can get quite esoteric — animated comedy on television right now, Archer returns for its second spin-off season in Dreamland. It’s going to be interesting to see how the show explores the ever-tense, ever-changing dynamic between Archer (H. Jon Benjamin) and Lana (Aisha Tyler). If the success of Archer: Vice is any indication, this storyline-within-a-storyline is sure to deliver the laughs. In the 1950s, doctors at Johns Hopkins unethically harvested the cancer cells of Henrietta Lacks, a woman from rural Virginia who moved to Baltimore. Oprah Winfrey plays Deborah, Henrietta’s (Goldsberry) daughter, on a quest to find out more about what happened to her mother and her mother’s cells, which are still used today for breakthrough medical research. Orange is the New Black darling Samira Wiley is lesbian rebel Moira in this adaptation of Margaret Atwood’s 1985 dystopian, Puritan futurist novel about a totalitarian theocracy. 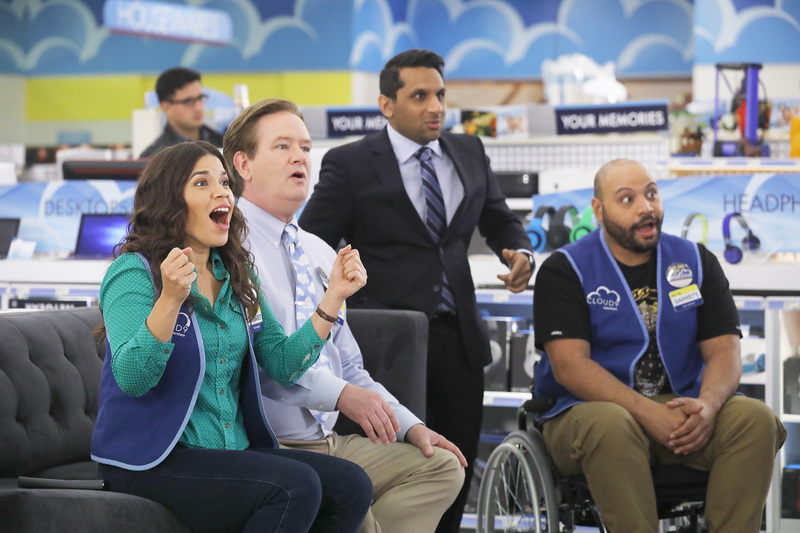 From left to right: America Ferrera as Amy, Mark McKinney as Glenn, Ravi Patel as Rex, Colton Dunn as Garrett on Superstore. Season two returned to NBC Jan. 5, 8 p.m. Season two picks up as the Cloud 9 employees go on strike to protest the store’s unfair policies and the firing of employee favorite Glenn. This season Amy and Jonah lead negotiations to stand up to store assistant manager aka the person who takes her job too seriously, Dina. Highly reminiscent of The Office, Superstore will either make you feel better about your actual job or might be eerily similar — either way, you’re still sure to laugh. 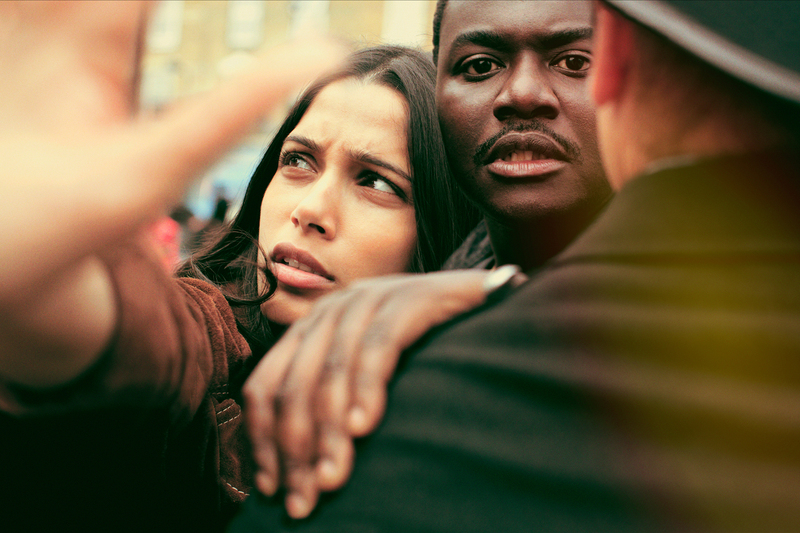 Freida Pinto as Jas Mitra and Babou Ceesay as Marcus in Guerrilla. Premieres on Showtime April 16, 9 p.m. Written by 12 Years a Slave screenwriter and American Crime executive producer John Ridley, Guerrilla is a six-episode limited series about British efforts to squash black anti-racist activism in the 1970s. It’s sort of like the U.K.’s version of COINTELPRO, except in Guerrilla the counterintelligence unit is called the Black Power Desk. The series is inspired by true-life events. Claws, TNT’s newest dramedy, is about the life of a South Florida nail salon owner Desna, played by Niecy Nash, and the lives of her crazy crew of nail staff. On top of great storytelling and bellyaching laughs, Karrueche Tran will have a recurring role. Season two returns to PBS Jan. 22, 8 p.m. The new season of the Civil War drama dives deeper into the lives of formerly enslaved African-Americans as they confront their new freedom, while still struggling with living in contraband camps and the horrific living conditions and disease that accompany it. 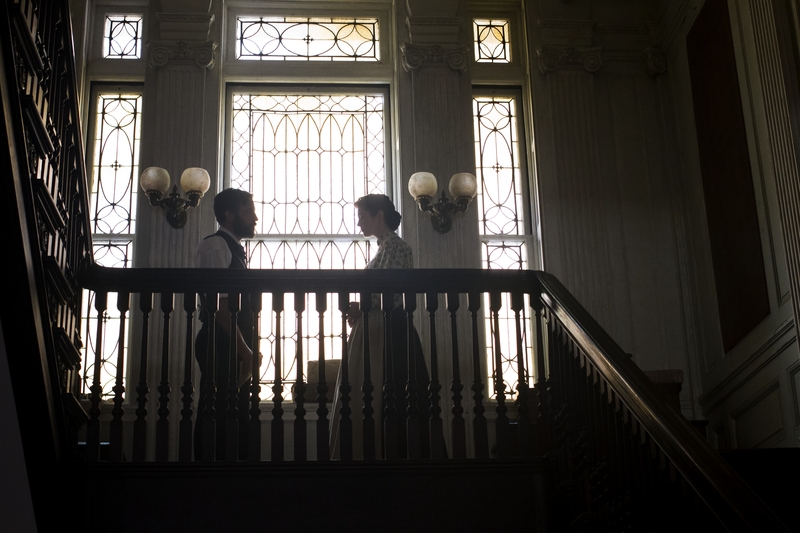 The new season also continues to explore the chaotic lives of the Green family, Dr. Foster, Nurse Mary and the Mansion staff as the Civil War intensifies in war-torn Alexandria, Virginia. Premieres on PBS Feb. 21, 8 p.m. This film chronicles the incredible life of the great wordsmith Maya Angelou via untold stories, never-before-seen footage, and commentary from her son Guy Johnson and Common, among a host of others. In these times we can draw strength from the wisdom and elegant prose of Angelou. Season two returns to WGN March 8, 10 p.m. Season two thriller picks up the struggle for freedom right as the country is on the brink of a civil war — plus Aisha Hinds steps into her role as Harriet Tubman. Season one of Underground shattered records as the most-watched WGN program in nearly 18 years — with additions such as Hinds and Dewanda Wise, this season is sure to not disappoint.